Home Pia Alonzo Wurtzbach PINOY PAGEANT FANS : Pia Wurtzbach for DARNA! 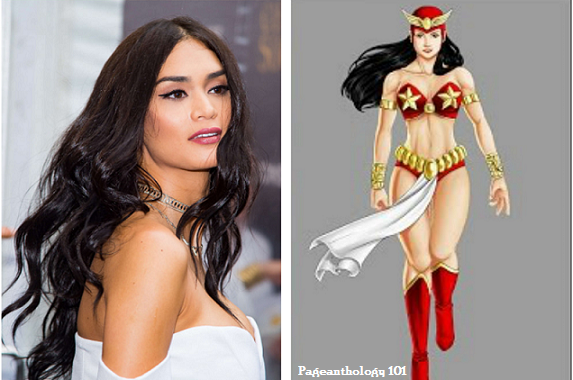 PINOY PAGEANT FANS : Pia Wurtzbach for DARNA! Star Cinema has decided that Philippine star Angelo Locsin will no longer play as the Filipina superhero Darna in movie adaptation of the Mars Ravelo-created character after experiencing pain in her back. Who will replace Angel Locsin? Netizens have been speculating who should replace Angel Locsin to portray the iconic Pinoy superhero on the big screen. Some who emerged as possible actress before were Liza Soberano, Nadine Lustre, Jessy Mendiola and Miss Universe 2015 Pia Wurtzbach. Pia Wurtzbach will be the perfect fit to be the new “Darna"! 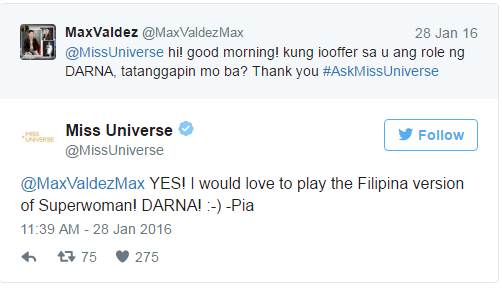 During a Twitter question and answer (#AskMissUniverse) last year when she was still the reigning Miss Universe, a netizen asked Pia if she is willing to suit up for the role in case the role is offered to her.